There are many web browsers available on the Internet. Analytics shows that most of the net surfers use Google Chrome globally. We love to browse sites, watch videos and play online games with a Chrome browser that supports numerous plugins to explore its features. Overall, Google Chrome is really a clean, neat and user-friendly browser. Chrome developers have given us the most useful and cool features to dig but it is hidden. I understand that you don't have the time to find out the features. Many people are not familiarized with the options available on Chrome. Spend your good time here to know the cool Google Chrome tricks and hidden features. At the top, you will see a warning message and some information. If you want to travel around all the bunch of features, Download Chrome Beta. I found 2 most useful options here. One is Enable or Disable "Smooth scrolling" feature and another is "Tab audio muting UI control". Smooth Scrolling - By default Google Chrome enabled this feature. If you would like to stop smooth scrolling, on the chrome://flags page, Press Ctrl + F and search for "Smooth Scrolling" > Choose Disable from the drop-down menu. Then you will be asked to Relaunch the Browser. Click on Relaunch Now button to save the settings. Tab Audio Muting - This feature is very useful when you have opened too many tabs and an audio is playing in the background. At that time, you might want to mute the playing audio and you don't have an idea about where to find the audio/video immediately in a tab to mute the volume. On the chrome://flags page, Press Ctrl + F and search for "Tab audio muting UI control" > Choose Enable from the drop-down menu. Then relaunch the browser. Here, I've given an example below on how to mute the playing audio without searching for the video/audio player. After enabling the feature, when you see the speaker symbol in the tab where the audio sound is coming from. Simply click on speaker symbol to mute and unmute the audio. Alternatively, right-click on the particular tab and click on mute or unmute tab option. This alternative option will work as default even if you don't enable the feature present in the chrome flags page. 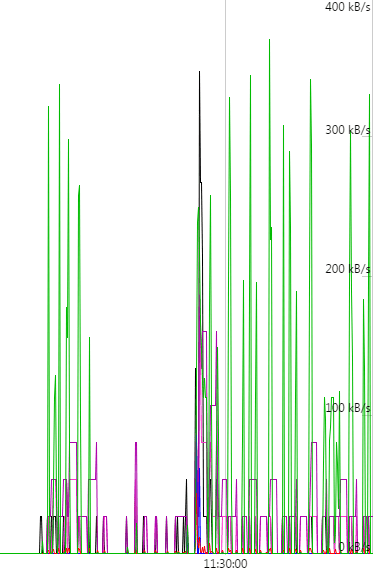 While watching a YouTube video, I checked the bandwidth consumption. If you don't surf anything, the readings will show nothing. This might not be a useful feature but a cool feature by chrome to kill the time when you don't have an Internet connection. 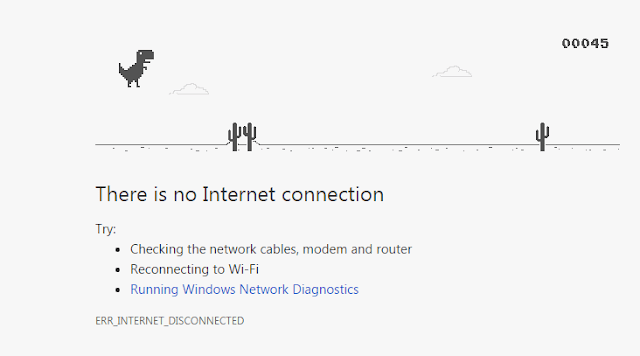 Open a new tab, the web page will display a message as "There is no Internet Connection" and you could also see a dinosaur with no action. To kill the time, Press the Spacebar key to start the game. The Dinosaur will run automatically then use the same spacebar key to jump the hurdles coming on its way. In order to play any music/videos, a supported media player is required. Browse for the media file on the saved drive. Restore down the window where you could see the media file. On the Chrome browser, open a new tab. Click and drag the media file and move it to the new tab on chrome browser to play the file. This feature is very useful if you would like to cast the media file to an external device. We know that there is a task manager option available on Windows to detect which program is slowing down the performance of the system. The similar feature is available on Google Chrome. Click on 3 dots which is on the top right corner of the browser. Go to More Tools > Task Manager. You could find the number of extensions and other sources currently running along with Chrome that occupies memory. If you found that any unwanted plugin that affects your browser's performance, click on "End Process" button to stop running the plugin. Task Manager option is very useful to kill the process of a particular tab in case if the tab is not responding. When you would like to collect the information from a website later, normally we use the shortcut key Ctrl + D to bookmark a web page. If you have opened multiple tabs and would like to bookmark all the websites at once, Press Ctrl + Shift + D and save the folder. By default, all the tabs will be saved in a separate folder. Reopen closed tab is a very good feature to restore all the closed tabs. If you accidentally closed multiple tabs, Press Ctrl + Shift + T to reopen recently closed tabs one by one. Alternatively, right-click on a current tab to choose "Reopen closed tab" option. If you would like to open all the closed tab after quitting chrome, you need to go to history by pressing Ctrl + H and click on recently viewed URL one by one. Managing passwords is very helpful in case if you've forgotten your password because you want to enter your account information of any website on the different browser. Go to Chrome settings. On the search settings bar, type as "Passwords". Under "Password and forms" category, click on Manage Passwords. Browse for your username corresponding to the websites. Click on any row, and tap on Show button to reveal the password. Go to Chrome settings > type as "Content settings" on Search settings bar. Tap on Content Settings option, scroll down until you see the Notifications section. Check the Do not allow any site to show notifications radio button. Finally, click on "Finished" button to save the settings. Find My Phone feature is very useful to Find, lock, or erase your lost phone. Tuned and signed into your Google account. 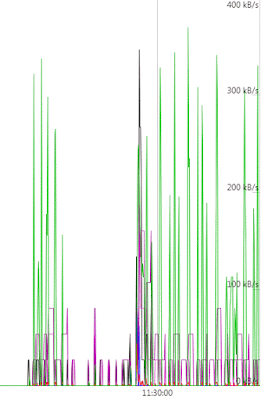 Connected to a sim carrier network or a Wi-Fi network. Then go to Google.com on your Google Chrome browser. Type and search for Find My Phone. 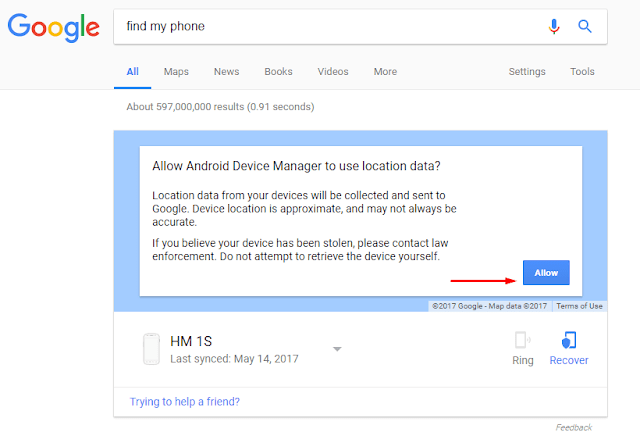 Allow Android Device Manager to use location data. ( This option is used to track the device. It will be useful if location or GPS is turned on your phone). If you're sure that location option is not turned ON but only connected to the Internet, ignore "Allow" option and select your device as shown in the above image. Click on Ring option. Your phone will ring with full volume for 5 minutes even though you put your phone in silent or vibration mode. If you lost your phone and you don't have any idea where it is, you need to erase the phone completely to protect your privacy. Sign in to your account and choose your stolen device. Choose Erase option and click on Erase button to delete all data from the device. Note: Erasing data from the phone will not allow you to locate your phone. 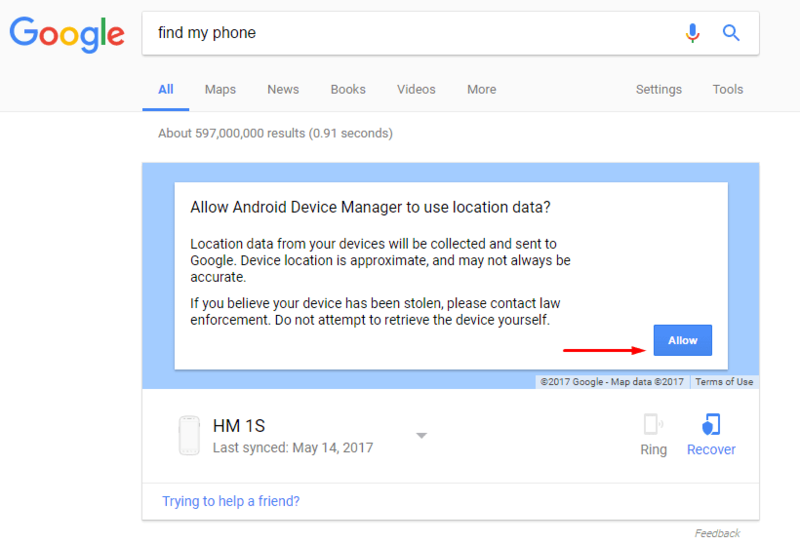 Find my phone feature will not work since you opted for logging out by deleting the data from the device. I believe that the features of the Chrome browser explained in this post helps you. If you have any queries to ask or like to share more cool features of chrome, you could inform below in the comments section.